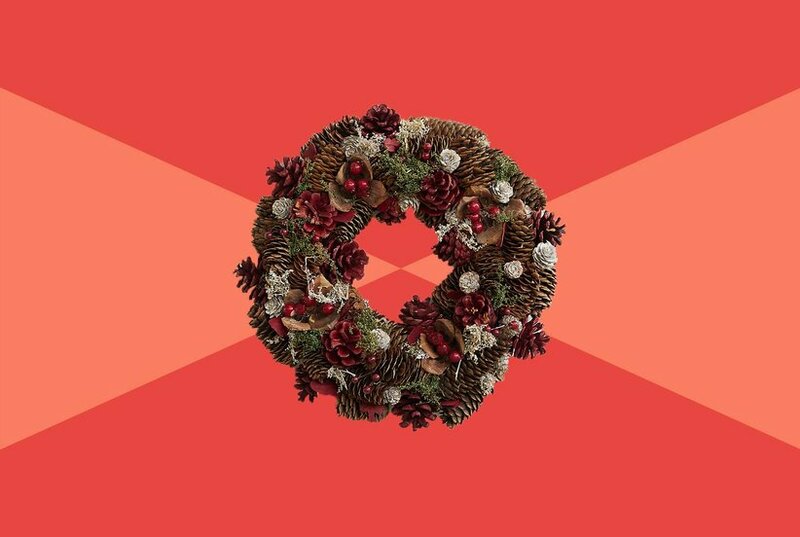 Welcome guests to a glamorous holiday with this wreath from DAK. This gorgeous wreath features unique and eye-catching white faux-pine sprigs and is beautifully illuminated with pink lights. A great accent for a contemporary Christmas. Pre-Lit Orchid Pink Cedar Pine Artificial Christmas Wreath, 24"
This Vickerman lime wreath brings a unique touch to any home for the holidays. It is brightened with 50 lime mini lights and 210 PVC tips.